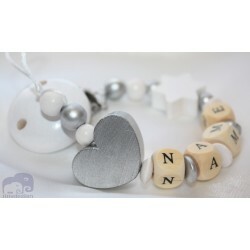 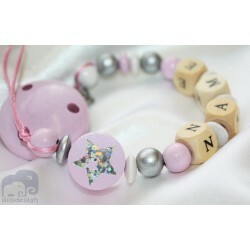 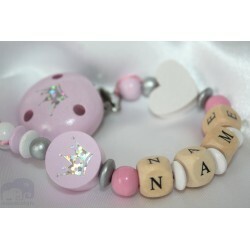 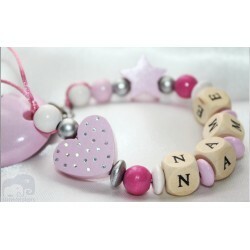 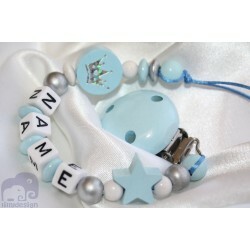 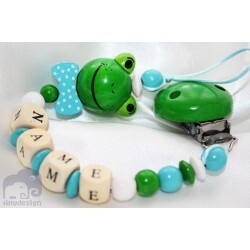 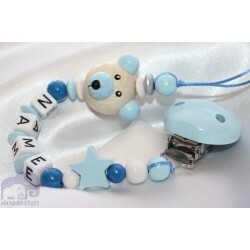 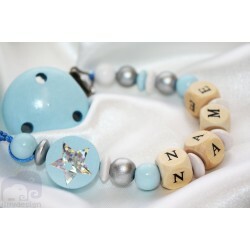 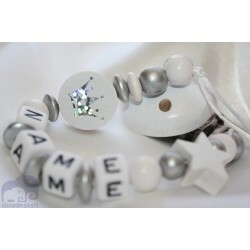 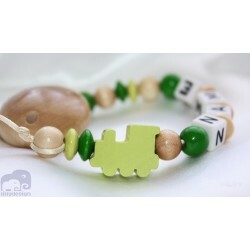 This pacifier clip is made from letter manufactured in Germany and are of the highest quality. 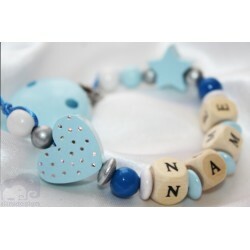 Non toxic , sweat and saliva prof . Products comply with DIN EN 12586 European Safety Norm Silicone Beads are light, perfect for teething.